Here we are again. Where did the summer go? Maybe you’re getting ready to send your first born off to school. You might be sending your oldest to college. Maybe you homeschool and you’re ramping up for another year. 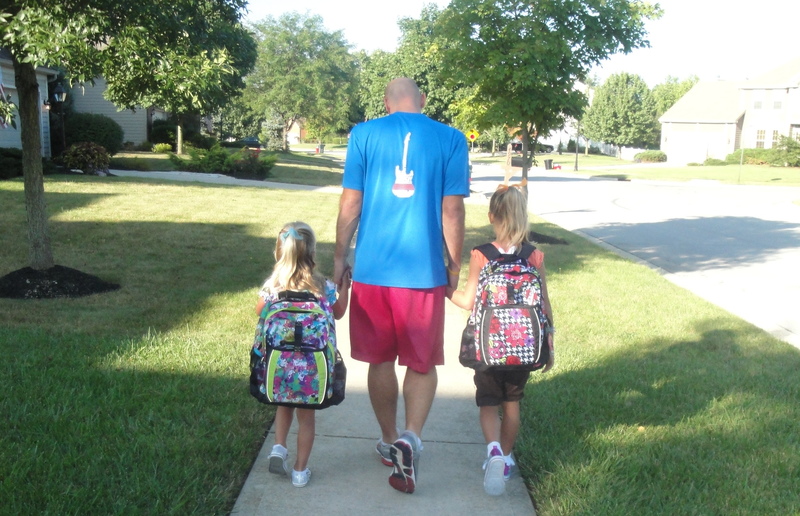 Wherever this post finds you, I thought I might share the 6 things that I firmly believe my kids need before they start school. These 6 things are part of that “hill I will die on” I often refer to. I know each child and home is different, so take these for what they are worth. Here we go…. 2. Treasured – This one REALLY applies to my girls. I wrote a post about being fifteen about a year ago and apparently I am incredibly naive to what that age is like now. While none of mine are fifteen yet, they are growing up faster than we did at their age. They have access to so much more. The only way I know to compat all that waits out there both virtually and in reality, is to make sure they all know they are treasured. They are treasured by me, they are treasured by God. They are my joy and the prize of their creator. They don’t need to settle for anything less than all that God planned for them before they were even born. There will be influences and voices to encourage otherwise, but my hope is they have a firm foundation in how treasured they are both at home and by their Creator. 4. Be The Change – In an age where “bullying” is a word thrown around a lot, I want my kids to be the change. Stand up for those that can’t or won’t stand up for themselves. Be “that friend” we all want, seek and need. Surround yourselves with those that are different and learn what makes them that way. Let your life be consistent. Let it be so consistent it changes others in ways that are positive. Be individul but be consistent. God created you to influence a circle of people. Be the change in your circle of influence. Be Awesome…. God loves the humble ones, and the humble ones often don’t make it as first-round draft picks for the jobs with big titles or positions. But they always seem to be the first-round picks for God when He’s looking for someone to use in a big way. To Be Awesome is to be humble and to be available. We get opportunities every day to be awesome to someone or for something. I want my kids to be available to any and all opportunities, especially with others. As the saying goes – “in 20 years they people won’t remember your name or achievements. But in 20 years they will remember how you made them feel and the memories you gave them.” Be awesome. Make others feel special and leave them with great memories. 6. Be Brave – How could I send them off without a charge that I set for myself in 2014? Be brave to try new things. Be brave to explore and learn. Be brave for those that can’t find the courage to be brave on their own. Let your bravery influence and encourage others to be brave too. God wired each of my kids differently. One will “be brave” with a quiet, calm influence. One will “be brave” in her compassion for others. One will “be brave” with an enthusiasm that is contagious. It’s they way they were built before they were ever born. Gods perfect design. Take each of those gifts and be brave.